We opened a newly renovated luxury bathroom showroom in October, 2015. Nothing was spared in our quest to build a destination showroom, with the renovation starting from the outside. Installation of dramatic, floor to ceiling shop-front matt black framed glass and ambient lighting offers a snapshot of our dream to build a beautiful showroom. New sash windows on the upper floors, with beautiful frame detail, have been installed, to bring the property in line with the surrounding area. After stepping inside, we allow the products to do the talking... On display, you will find a selection of internationally sourced luxury brands, with products designed by globally acclaimed designers, including Philippe Starck. Some of these brands on display in our showroom include Duravit, Hansgrohe, Axor, Cea Design, Toscoquattro, Catalano and Lefroy Brooks. Specifically, our showroom has an inspirational range of traditional and contemporary products on display, including, showers, baths, radiators, taps and mixers, basins, toilets, bathroom furniture and steam rooms. Cutting edge bathroom design concepts can be realised in our showroom, and to further enhance your experience, we have 2 live working display areas, to demonstrate new and innovative technologies to our clients, including a transparent tap from Axor which creates a vortex of water when turned on. It certainly needs to be seen to be believed! 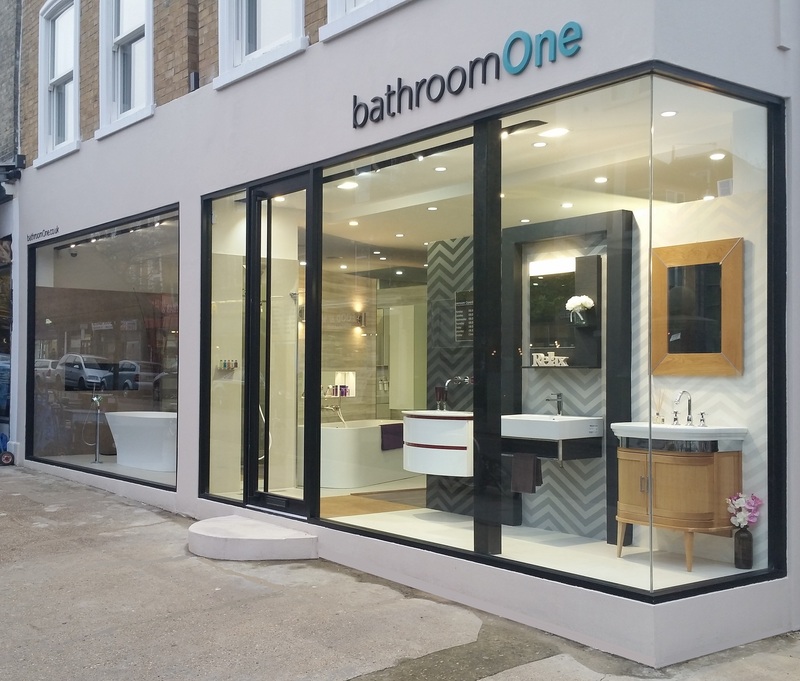 Visit our London showroom to find a large selection of bathroom catalogues which can be taken away, or to speak to our staff who can offer expert and friendly advice on any bathroom, heating or steam and sauna related topic. In July 2015, we said goodbye to our old website and launched a fantastic new website which we believe is at the forefront of design and functionality within the bathroom industry. Our quest was to build a website that was extremely user friendly, intuitive, offering simple and effective navigation, whilst maintaining a minimalist and modern look. Significant time, resource and thought went into the development, testing and launch of the website, and we hope that our hard work has paid off. We hope you enjoy using our website and any feedback, good or bad, would be greatly appreciated. Please email us on info@bathroomOne.co.uk and let us know what you think, thank you. Please also bare with us as we continue to upload products to the website on a daily basis.